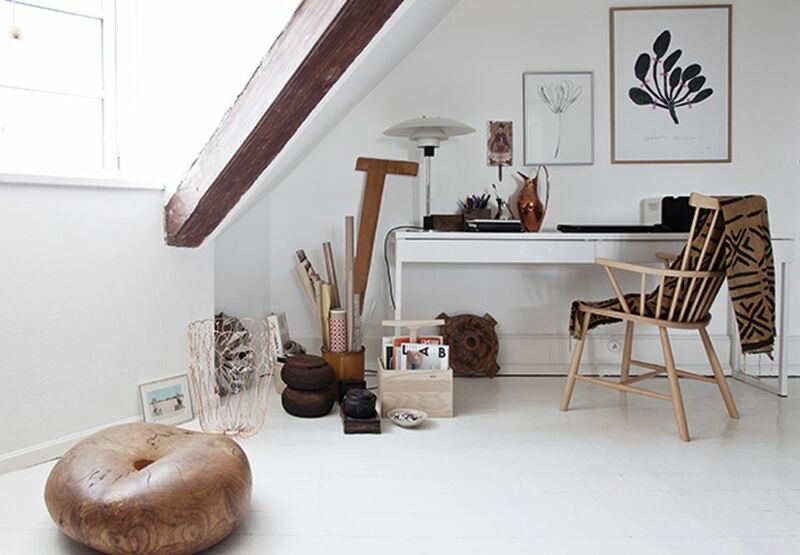 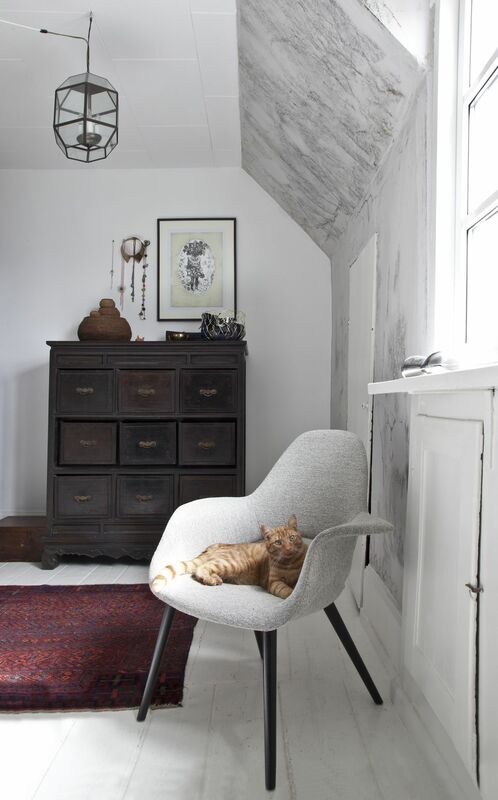 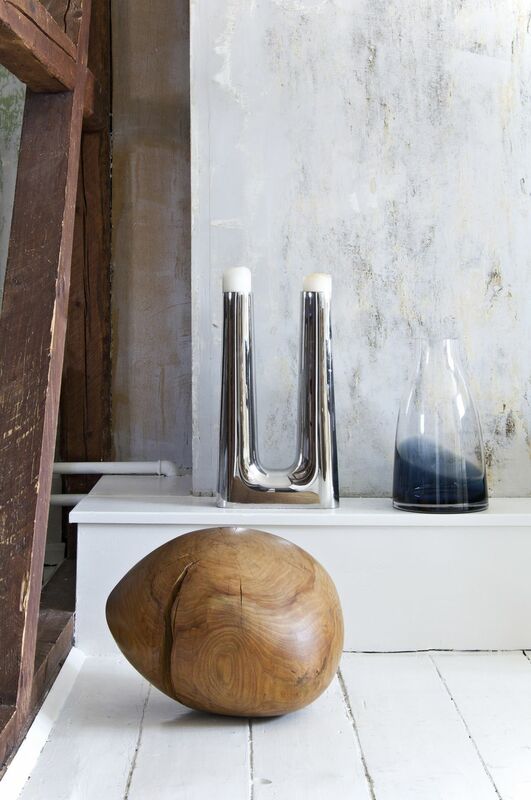 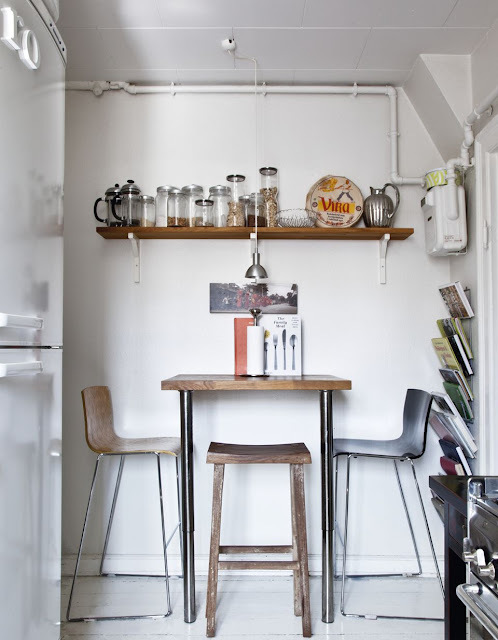 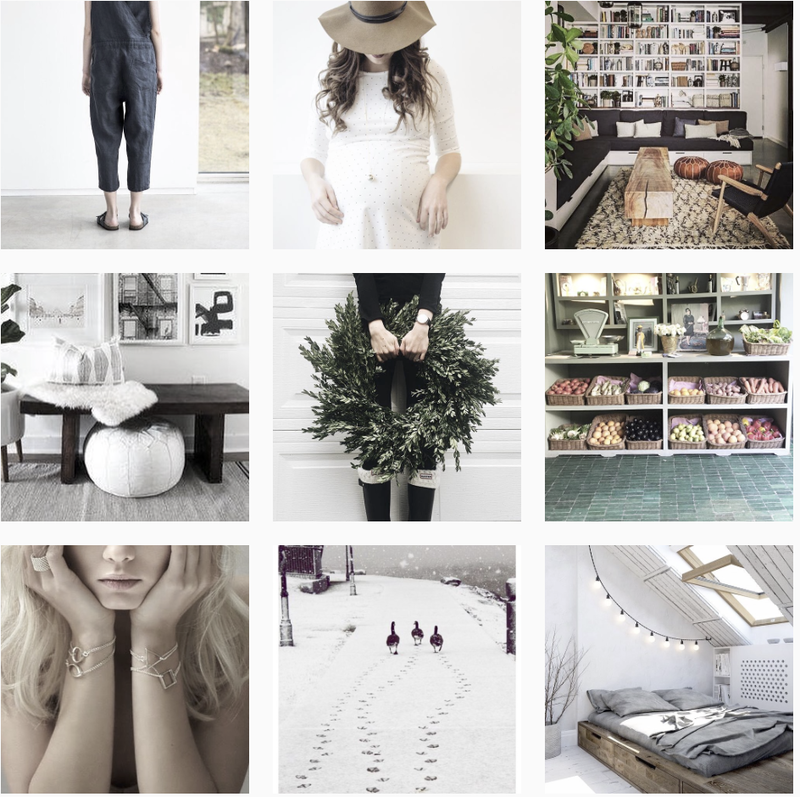 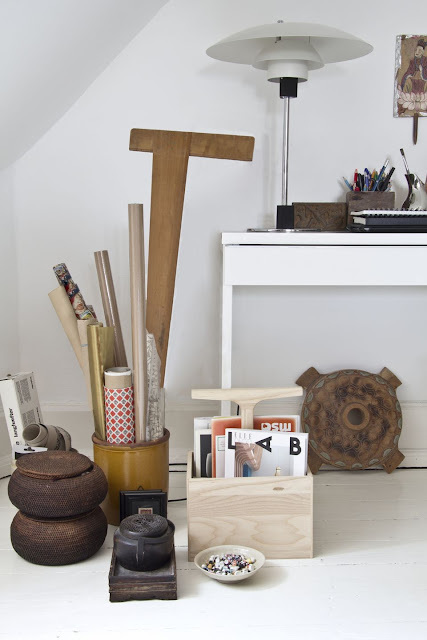 We are fans of where the designer Rebecca Uth and her family live. Quite different from the typical minimalist Danish apartment. 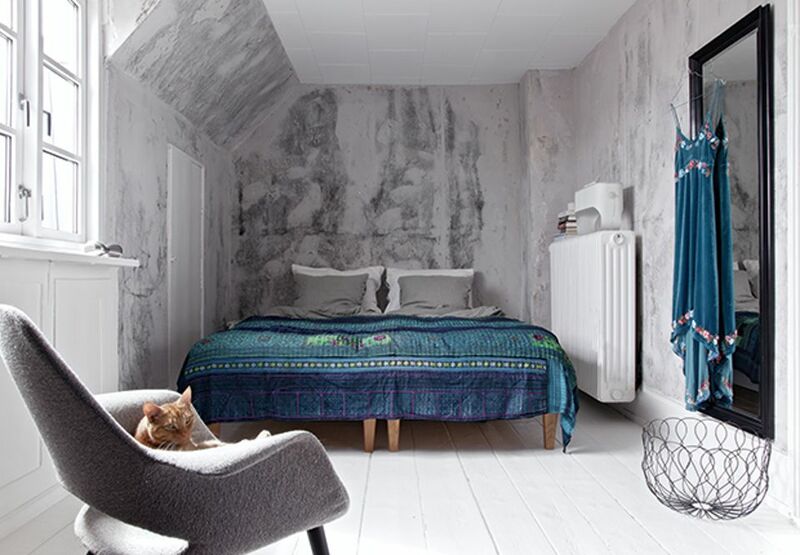 As they moved from their home and jobs from Vietnam back to Denmark, they decided to live in this unique apartment from the mid-1800s in the heart of Copenhagen. 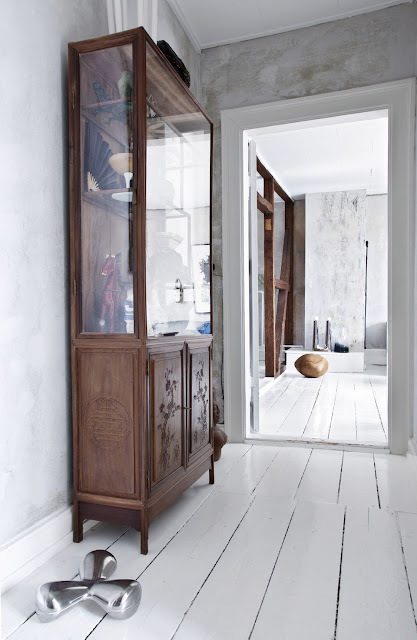 The family has lived in several countries, and therefore they have today a fine collection of carefully selected and proven things that reflect family history. Common to their furniture is that they are made of raw materials and Rebecca have especially a great penchant for all type of wood. 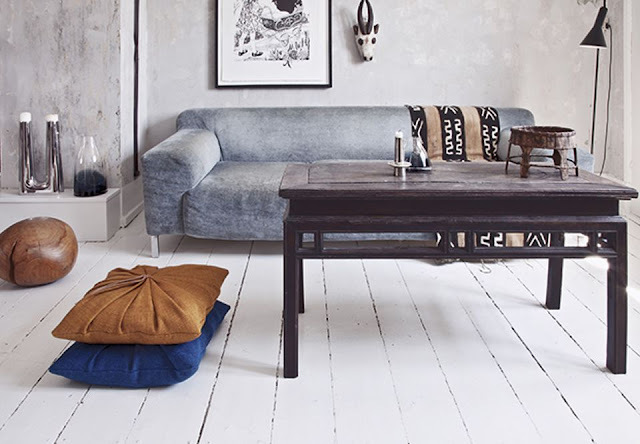 Their things from all over the world with different ethnic references are not an obstacle for a cool and personal style. On the contrary. 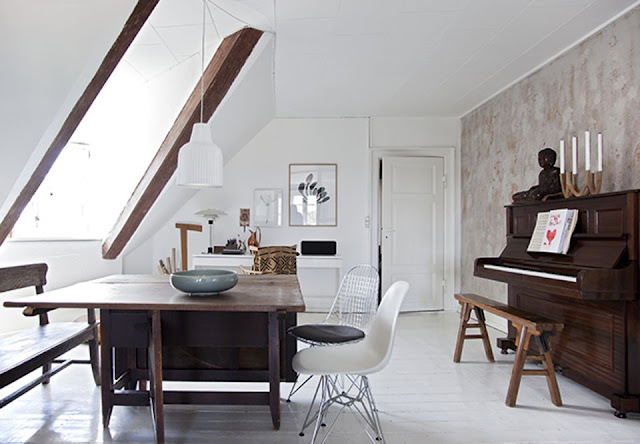 Contrasts across time, style and culture make a device interesting in contrast, for example. 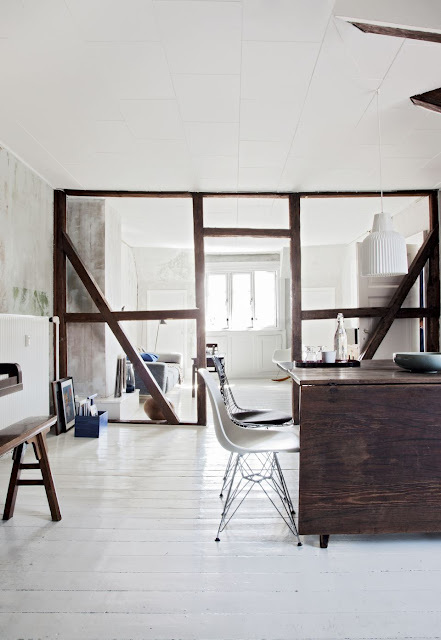 pure minimalism, which may be fine, but if there is nothing, it seems cold, boring and impersonal. Contrasting reflects who you are - and nobody has only one side.